What does the Oriental Rongotai Rugby Academy offer? The Oriental Rongotai Rugby Club Academy (ORRCA) is fully aware of the importance of on-going partnerships between the young players, and their families. With this in mind the ORRCA set-up pays particular interest to each player in a one-on-one environment. Communication is key and so is the involvement of the parents. The Academy seeks to include everyone in the planning process to ensure high performance coaching is delivered to the best young players. 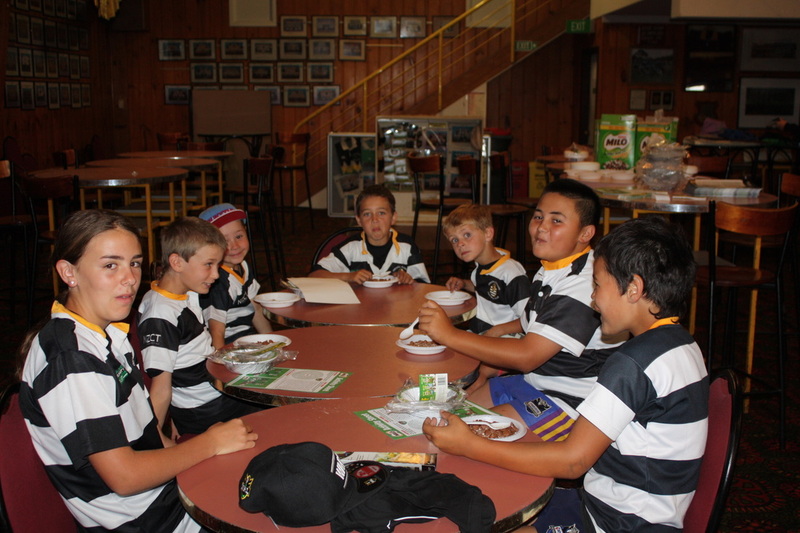 The Oriental Rongotai Rugby Academy aims to produce outstanding players for both itself and Wellington Rugby. Players join the academy through a variety of routes and are assisted in their rugby development to attain their ultimate goal Every player will be exposed to a programme of rugby development and body management, balanced against their life goals. This will provide the necessary structure for each player to maximise his rugby and personal potential. The programme is designed to expose all players to the requirements of the professional game. A balance of individual, and unit skills are delivered each week leading into a competitive game. Players are exposed to training programmes that develop not only their rugby skills but also their understanding of the game.Rugby sessions are led by The Academy ‘s Director of Coaching. Current first team players and WRFU resource staff will pass on their experiences as they support training sessions and provide a structured ‘buddy’ system. The professional game requires players that are quicker, faster, stronger and more powerful in order to compete. If a player is to fulfill his rugby potential he must get his body into the best possible shape. Our dedicated strength and conditioning coach/s will provide specific training programmes in order to meet individual conditioning needs. Nutrition advice is given to ensure that players are eating appropriate foods and hydrating sufficiently in order to train at a high level. ORRCA will have a limited number of spaces available. This will provide a more centered approach to learning and a strong one on one influence. ORRCA will have its own team of specialist coaches and will be headed by the Director of Coaching. They will work closely with the Oriental Rongotai CCO in developing the programme and shall have access to an elite coaching network through the Wellington Rugby Football Union & ORRCA’s own specialist service providers. •An ORRCA gear bag, T-shirt, Polo Shirt. •An intensive training programme of supervised gym, fitness and speed work with performance testing by a qualified fitness trainer. •Position-specific workshops run by position specialists.